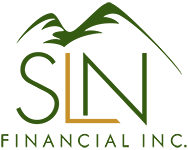 June 28, 2017 - Address These Key Financial Items When Retiring From Military | SLN Financial, Inc.
A seasoned military career brings a unique professional experience for millions of people each year. We have roughly 1.3 million active-duty military service members.1 And at least 1.47 million non-disability military retirees receive retirement payments after leaving the military.2 As this specific demographic prepares to retire and return to a civilian life, their financial life also uniquely changes. They will lose a variety of military perks and experience often unexpected living costs, creating unique financial needs to address. If you or someone you know will soon retire from the military, here are 4 financial details to manage in order to support a stable transition. Once you retire, you no longer receive the stable military salary you’re used to, among other perks. As such, identifying your costs of living as a civilian is essential. Details like car expenses, rent or mortgage checks, schooling, or even clothing expenses add up quickly. Further, you need to identify how much retirement savings you have to support you. While military service members have access to unique savings opportunities and military pensions, a vast majority don’t qualify or take advantage of them. In fact, less than 18% of service members enlist long enough in the military to qualify for retirement savings.3 As a result, identifying your savings gap against your living expenses is an essential planning step. 2. Understand how taxes will affect you. 3. Cover your life insurance gap. 4. Be sure you understand your specific military retirement benefits. No matter when you plan to retire, the annual expenses and income you have will define the specific financial strategies you need. To explore how retiring from the military could affect you or a loved one, feel free to contact us today. We’re ready to help you make the most of your financial opportunities.